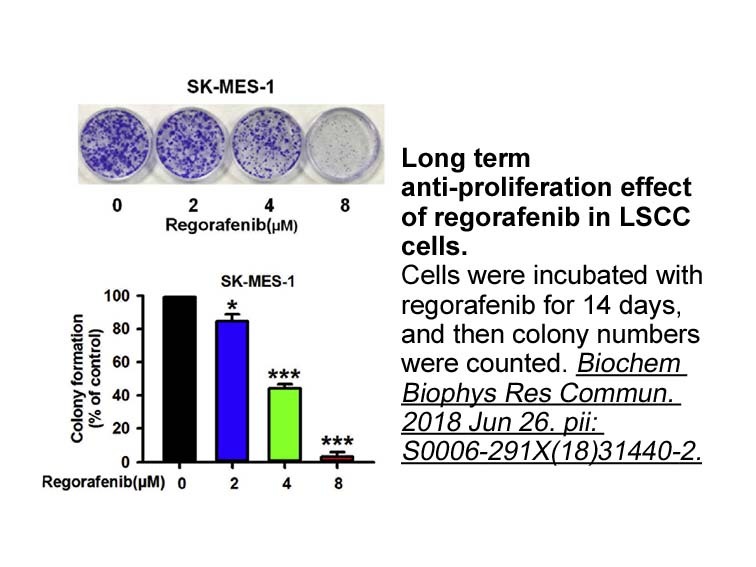 Regorafenib inhibits growth-factor-stimulated VEGFR2 and VEGFR3 autophosphorylation in human umbilical vascular endothelialcells (HuVECs) and intracellular signaling and migration in lymphatic endothelial cells (LECs). 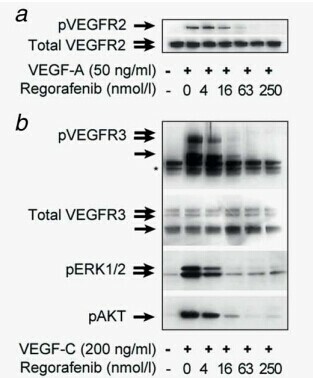 Western blot analysis of (a) VEGFR2 and (b) VEGFR3, ERK1/2 and AKT from total cell lysates from (a) HuVECs and (b) LECs. 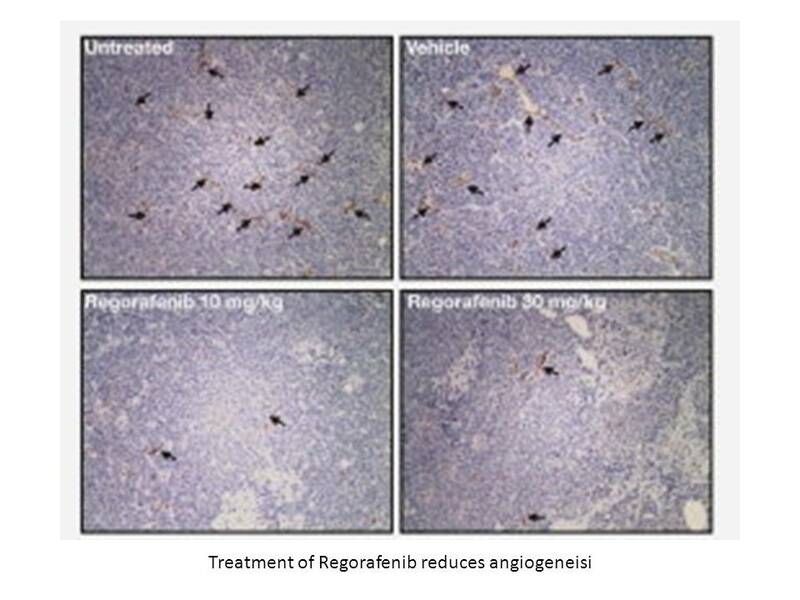 All cells were treated with the indicated concentrations of regorafenib and subsequently stimulated with (a) VEGF-A or (b) VEGF-C. * indicates nonspeci?c signals. Carr B I, D'Alessandro R, Refolo M G, et al. 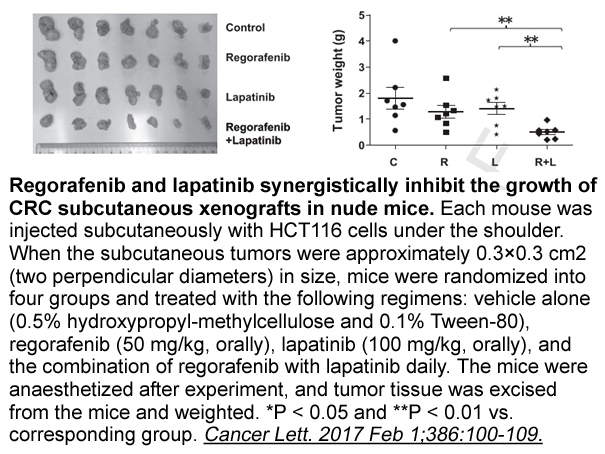 Effects of low concentrations of regorafenib and sorafenib on human HCC cell AFP, migration, invasion, and growth in vitro. 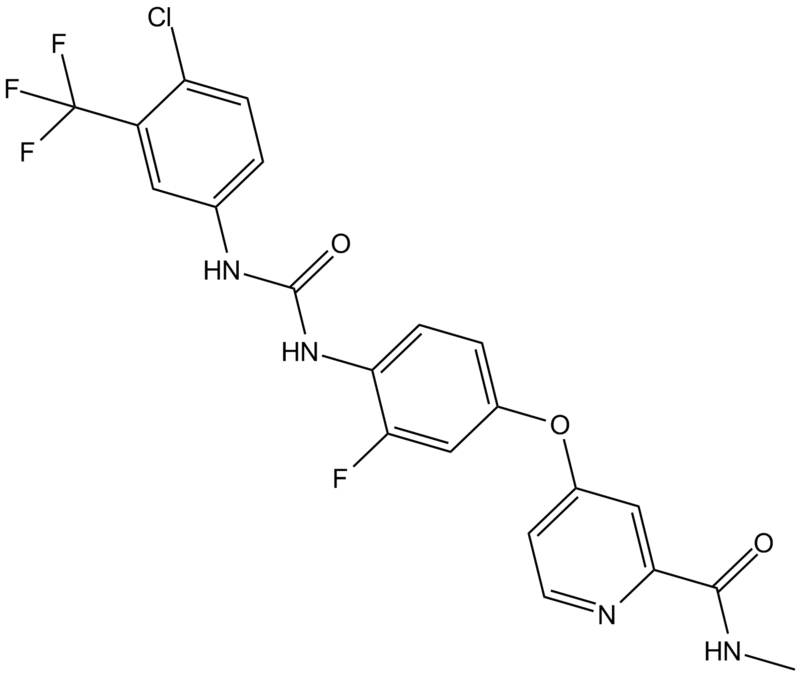 Journal of cellular physiology, 2013, 228(6): 1344-1350. Wilhelm S M, Dumas J, Adnane L, et al. 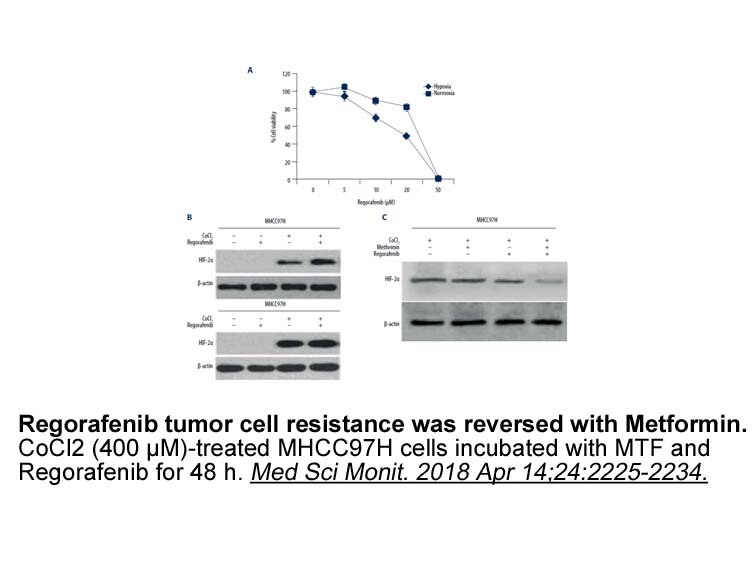 Regorafenib (BAY 73‐4506): A new oral multikinase inhibitor of angiogenic, stromal and oncogenic receptor tyrosine kinases with potent preclinical antitumor activity. 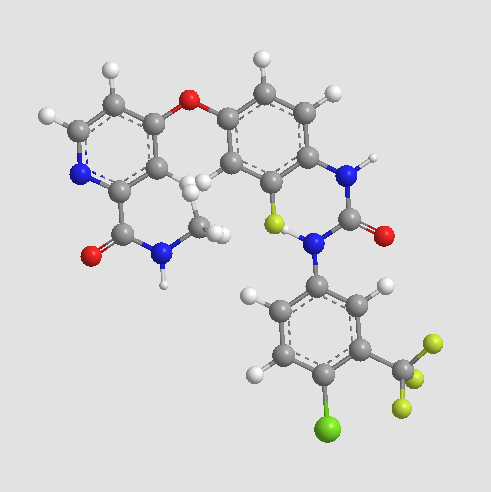 International Journal of Cancer, 2011, 129(1): 245-255.
. Wilhelm SM, Dumas J, Adnane L, et al. 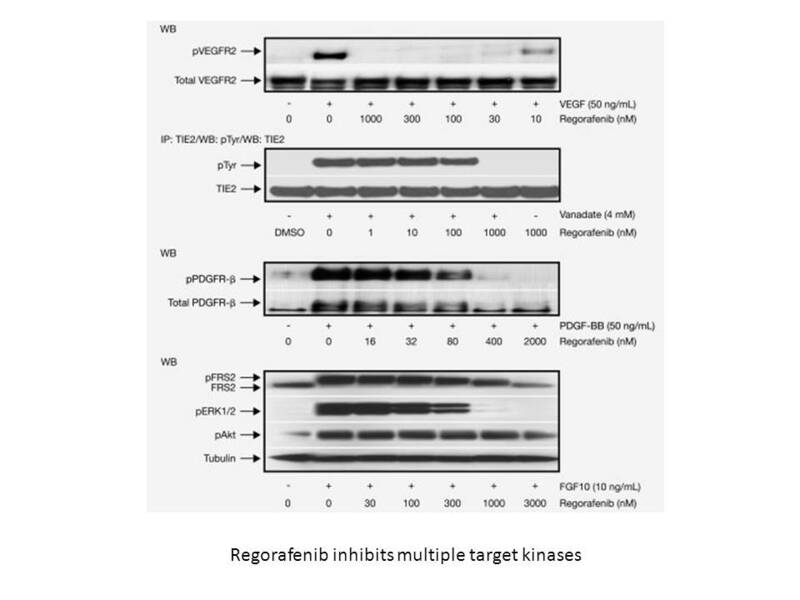 Regorafenib (BAY 73-4506): a new oral multikinase inhibitor of angiogenic, stromal and oncogenic receptor tyrosine kinases with potent preclinical antitumor activity. Int J Cancer, 2011, 129(1): 245-255.
. Schmieder R, Hoffmann J, Becker M, et al. 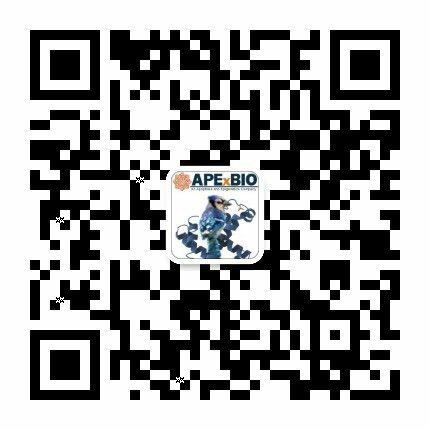 Regorafenib (BAY 73-4506): antitumor and antimetastatic activities in preclinical models of colorectal cancer. Int J Cancer, 2014, 135(6): 1487-1496.